In the past few decades, the use of prescription antidepressants has gone up an alarming 400%. While this isn’t likely news to those with mental health issues who depend on medication to function and work on bettering themselves, there are actually all-natural alternatives that the FDA has been testing for years. While many supplements are generally safe, there are not entirely risk-free, and as an advocate or supporter of mental health and treatment, it’s important to understand the associated risks before taking any type of medication. It comes as no surprise that, even though 68% of Americans take dietary supplements, many are unaware of the potential hidden dangers. 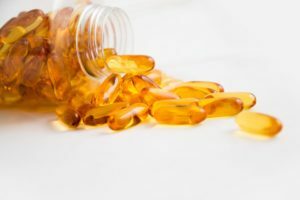 Those looking to increase their mental health and emotional stability might have been recommended supplements such as St. John’s Wort, SAM-e or even Omega-3 essential fatty acids. While found to be fairly natural substances, they too can have adverse side effects if not taken properly. While St. John’s Wort has reportedly helped various people with mild depression, it can actually interfere with SSRIs and cause serotonin syndrome. If you’re not currently taking other medications, it might be work for you as a safe, natural way to combat seasonal depression, but it’s still suggested to consult your doctor before doing so. The same goes for SAM-e, which has been approved as a prescription drug for depression in some European countries. It has been shown to increase panic or anxiety conditions in certain individuals and is not currently regulated by the FDA. Like any type of medication or even food for that matter, it’s always suggested to read the ingredients label very closely before ingesting anything. What might seem all-natural and safe could have hidden ingredients that are not only bad for your health, but that could also have negative impacts on your road to mental health recovery. Avoid any supplements that contain fluoride as it can lead to nervous system problems and potentially weaken your brain’s ability to process emotions. It also goes without saying that, if you are considering taking weight loss supplements and already have an existing anxiety condition, it’s crucial to stay away from sibutramine and dinitrophenol. Both have been shown to potentially cause heart conditions and make people more prone to anxiety or panic attacks. While your brain and body both need time to adjust to any new type of medication or supplement, the general rule of thumb is that you should feel better, not worse, after taking them. If you find that a supplement simply doesn’t make you feel good, then stop taking it. Speak with a medical professional about your concerns and talk openly about wanting to find a safe, all-natural way to treat your anxiety or depression. As always, remember to hold onto your hope, and trust that things will always get better. The post Weighing the Benefits and Risks of Supplements on Mental Health appeared first on .